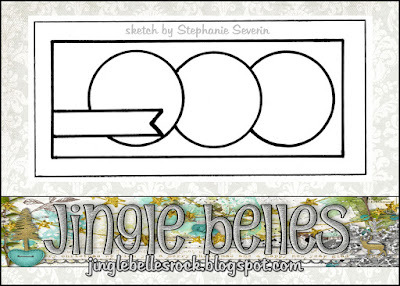 jingle belles: Do you SKETCH what I SKETCH? Lauren says, "This is one of the fastest cards ever, because it's not only 00% faithful to the sketch, I've also used all readymade items to complete my card. 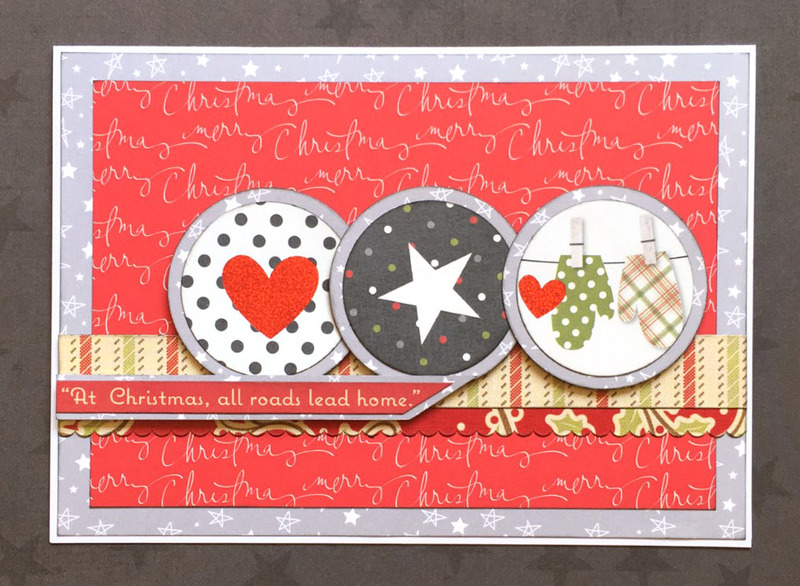 There are circle icons that I've punched and matted on slightly larger circles, border stickers as a ground for the focal point, and an ancient (but still awesome, imo) sticker sentiment. 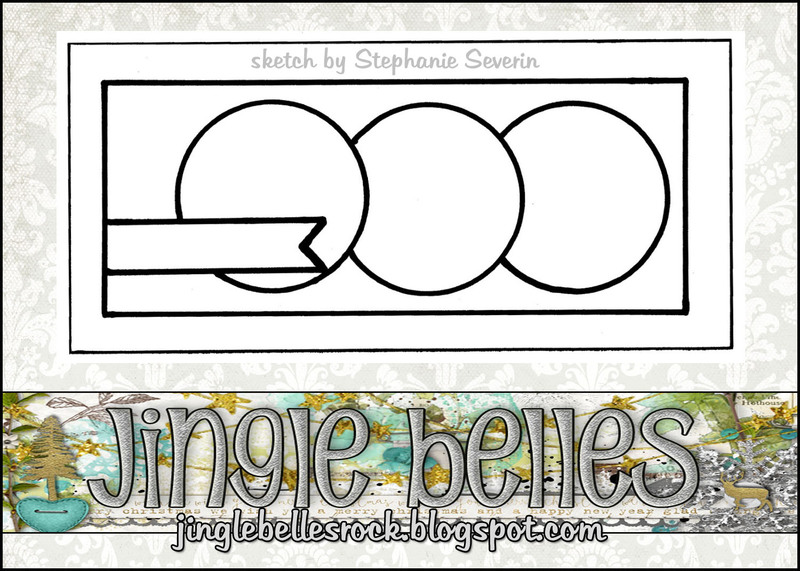 Easy peasy, and that's another flat/mailable card added to my stack for December!" 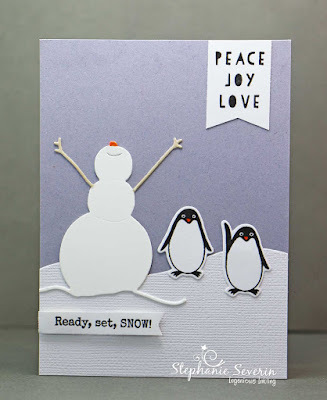 Stephanie say, "My original intention was to my favorite Penny Black Snowman Joy be the three circles in the sketch and have a vertical sentiment from the top ... but he seemed a bit lonely, so I added two penguins from Essentials by Ellen Arctic Pals to join him in the snow and a horizontal sentiment from the left ... so my card is really doing double-sketch-duty." And now it's your turn to be inspired by this fun sketch. 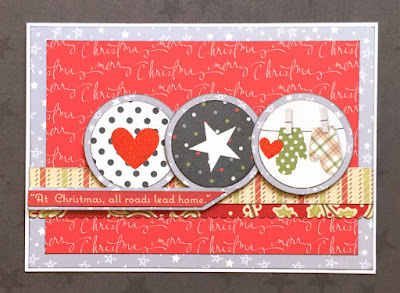 Scroll down to the original post for all the details and to link up your own cards!